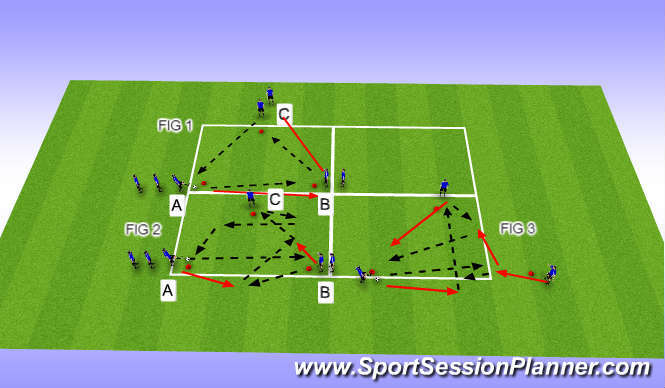 5v5 with offside lines. Coach players to possess the ball until team can play penetrating ball to a teammate behind offside line. Quick passing to break down defenders and create numbers up opportunities. 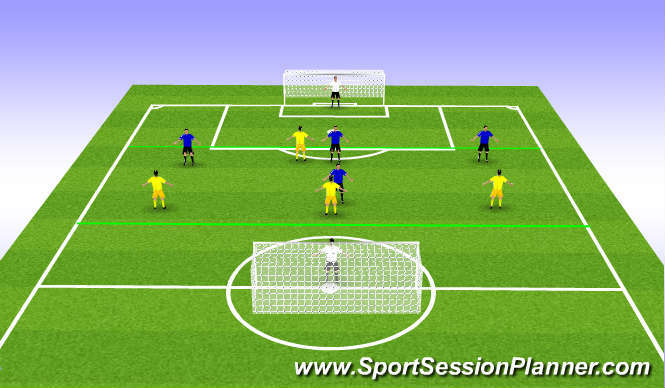 Players play 3v3+1 until they think they can break into small grid to beat players 1v1. Dribble across line for point. 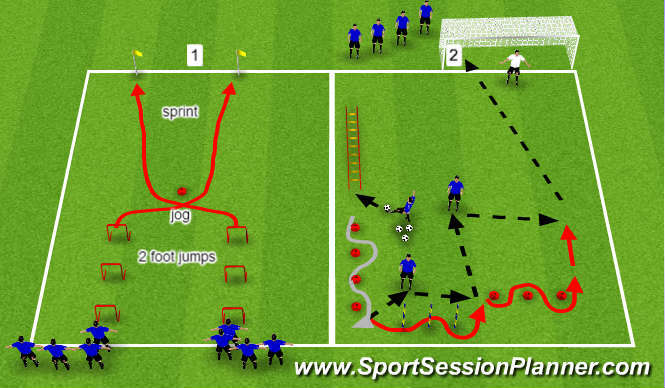 Coach players to play possess the ball and develop situations to play behind for 1v1 opportunities.